Written twenty-two years apart, Johannes Brahms' two piano concertos are snapshots of his life. The first, in D minor, Op 15, from 1858, is youthful, raw and expressive. The second, in B major, Op 83, written between 1878 and 1883, is mature, structured and wiser. Both embody radical ideas of the nineteenth century, when revolution was in the air and artists joined political movements to overturn the old order. András Schiff, as pianist and conductor, joins the Orchestra of the Age of Enlightenment for a series of concerts featuring these Brahms concertos and works by Brahms' mentor and inspiration - Robert Schumann - the Konzertstück for Four Horns and Symphonies Nos 3 and 4. The team begins at the Vatroslav Lisinski Concert Hall, 4 Stjepan Radić Square, Zagreb, Croatia, on Saturday 16 March 2019 where listeners will be able to hear the Konzertstück, Schumann's Symphony No 4 and the Brahms Piano Concerto No 1. Then, in London UK, at the Royal Festival Hall, on Monday 18 and Tuesday 19 March, both at 7pm, comes the only chance to hear the complete set of works on offer. On Monday 18 March, the Zagreb programme will be repeated, and then the following day, they'll perform Schumann's Symphony No 3 and Brahms' Piano Concerto No 2. Staying in the UK, they then go to The Anvil in Basingstoke, on Wednesday 20 March, 7.45pm, and finally to the National Concert Hall in Dublin, Republic of Ireland, on Saturday 23 March, 8pm, both for the first programme, as performed in Zagreb. 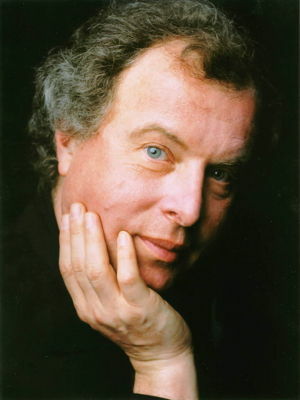 András Schiff was born in Budapest in 21 December 1953, into a Jewish family, the only child of two Holocaust survivors. He began to study piano at the age of five, at the Franz Liszt Academy of Music in Budapest with Elisabeth Vadász, Pál Kadosa and Ferenc Rados, then in London with George Malcolm. He also studied piano and chamber music with György Kurtág. He won prizes in the Tchaikovsky and Leeds piano competitions and left Hungary in 1979, taking Austrian then later British citizenship, and living in London and Salzburg, and later Florence. He was pianist in residence with the Berlin Philharmonic Orchestra in 2007-8, and was one of Carnegie Hall's 'Perspectives Artists' in 2011-12. He is one of the most renowned Schumann interpreters, and has recorded much of Brahms' keyboard music for Decca. He is an outspoken critic of the Hungarian government and of the rise of far right politics in Austria. The Orchestra of the Age of Enlightenment is a British period instrument orchestra founded in 1986 as a democratic self-governing ensemble. Its name comes from the late eighteenth century period in which the core of its repertoire is based. 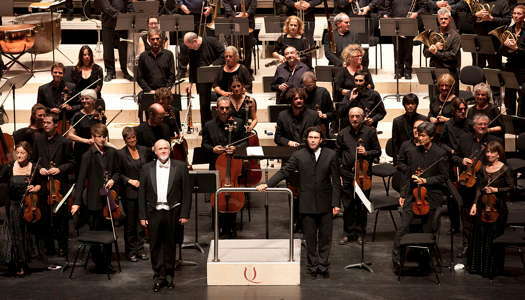 It has no permanent music director, but chooses conductors for individual concerts and projects. Resident at the Southbank Centre in London, it is associate orchestra at Glyndebourne and has its headquarters at King's Place. The orchestra's informal late night concerts, known as 'The Night Shift', have twice been nominated for a Royal Philharmonic Society audience development award.